For gates up to 850 lbs. (max 10 ft.) or 16 ft. in length (max 550 lbs.) each. 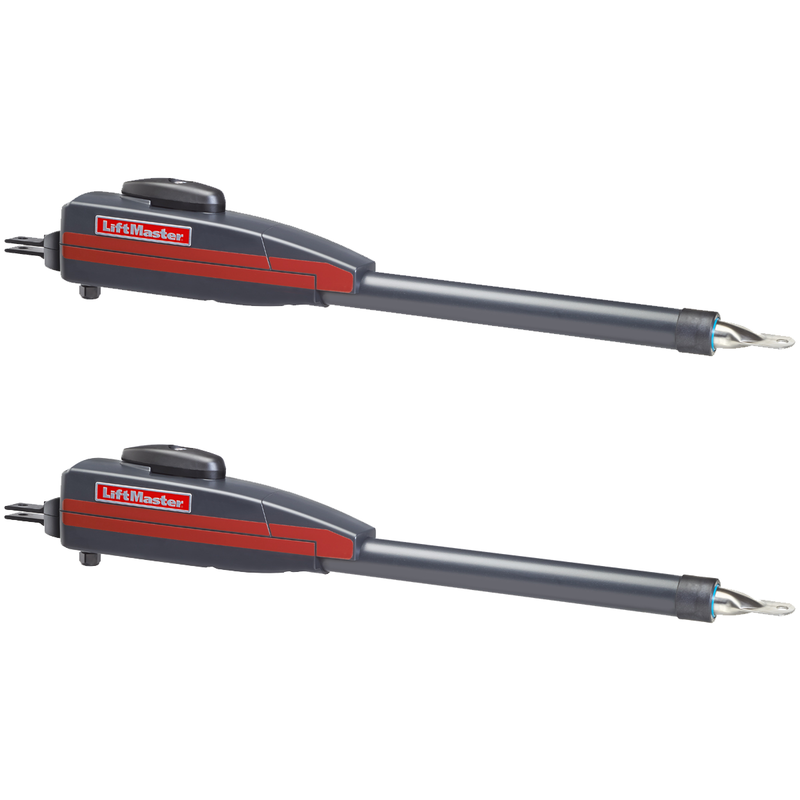 This is a LiftMaster LA400 Dual Linear Actuator Swing Gate Operator.